In the new STARZ original series, Magic City, Miami Beach, 1959 was the place to be and be seen. It was a time when the mob ruled and political turmoil impacted daily life. Miami was an exotic oasis, a place for the privileged to break away from their wholesome image. With the Atlantic Ocean as the backdrop, the Magic City style adds a sense of mystery to classic looks and risqué appeal to retro trends. The show’s costume designer, Carol Ramsey created sleek, fashion forward styles that were unique to each character. On the set, it was the norm to spend hours squeezing into girdles, polishing shoes, ironing dresses and finding time period accessories to match each outfit. The endless hours spent on perfecting the details brought the characters to life. “Costume design is more than just making great outfits. It’s about the psychology and drama of the characters and the world,” says Ramsey. The stunning dresses capture the true essence of ’50s glamour. 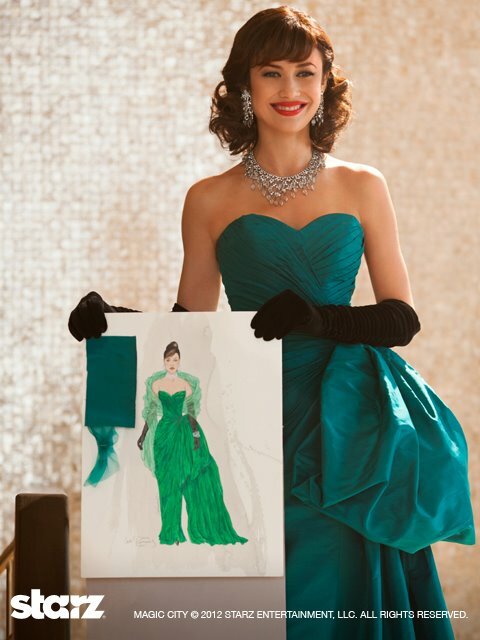 To add authenticity to the Magic City designs, Ramsey created nine original gowns. One of her creations was a white beaded evening gown that weighed six pounds and took 160 hours of hand sewing to create (shown below). I can’t help but find inspiration for my own wardrobe in each new episode. The leading ladies of Magic City make their polished looks and classic trends appear effortless. I look forward to the day a designer is daring enough to create a Magic City line similar to the Mad Men Collection for Banana Republic. Until that day, I will escape to Magic City, a place where style is paramount. 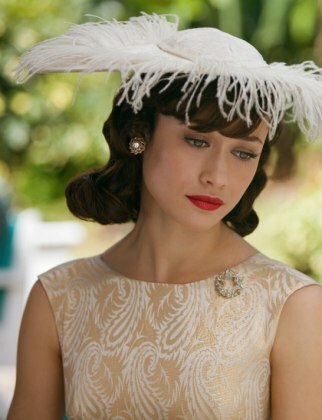 New episodes of Magic City premiere Fridays at 10 p.m. ET/PT (from now to 5/1/12) on STARZ.